The area for development within Agra Smart City was chosen on basis of analytical assessments and stakeholder consultations. In the third round of the Smart Cities Proposal Challenge, the area was narrowed down to focus on the existing areas around Taj Mahal and Tajganj area, Agra Fort and its vicinity, and Fatehabad Road connecting the Inner Ring Road. This area was chosen to converge existing development activities, alignment with the stated vision of becoming a tourist friendly destination, and providing maximum benefits to residents and tourists. 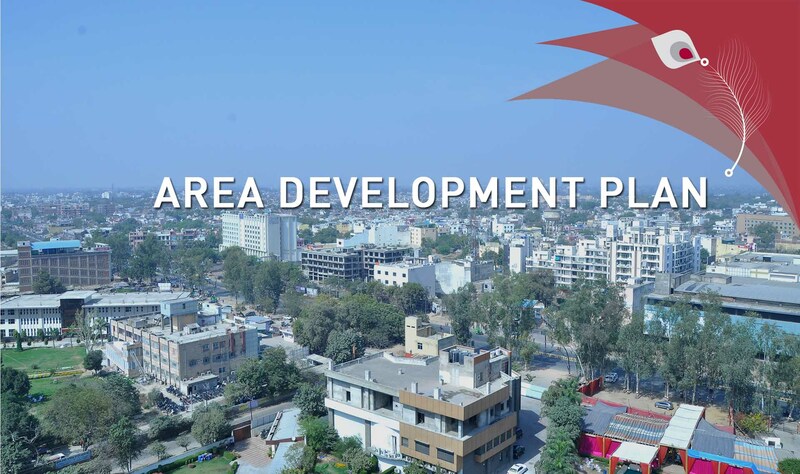 The area based development plan for Agra focuses on improving social equity and infrastructure for citizens, and improving heritage and cultural tourism and tourism infrastructure for visitors, and revitalizing green spaces and enabling sustainable livelihood development, which will impact quality of life of residents and experience of visitors. The area based development plan for Agra Smart City focuses on provided integrated impact, with not just Economic benefits but Governance, Spatial, Social, and Sustainability benefits. Governance Impact Improved water distribution. Mera Agra Smart Card & App. Central Command & Control Center. Mobility. Solid Waste Management. Efficient SPV. Revitalized heritage areas. Taj Park and green zones. Taj Orientation Center. Mughal Musuem. International Café Street. Redesigned streets with vending zones and façade improvement. Enhanced tourist facilities. Improved livelihood of ~500 informal sector workers and ~8000 artisans. Micro Skills Development Center. Area improvement, zoning, new tourist facilities, and night activities to increase tourist stay. Slum area upgradation with physical and social infrastructure. Upgradation of municipal schools. Upgradation of school sanitation. Improved street networks and access. Skills Development training for guides and artisans. Sustainability Impact Non-motorized transport. Smart street lights. Roof top solar. Rainwater harvesting. Improvement of drains and sewer systems. Open Defecation Free city. Improved street facilities, CCTV surveillance and incident management.